Semi-armor piercing and high explosive semifixed shell. Shrapnel and star shells were also available. 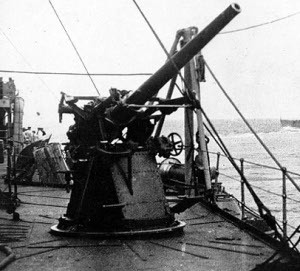 The 12-pdr was a very old design used on many lesser warships, including some submarines. It was always mounted in a hand-worked mount.